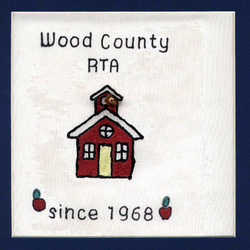 From its humble beginnings on November 13, 1968, the Wood County RTA has prospered, evolved, and grown to its present pinnacle of service to retired teachers of Wood County. Irene Barckert was the designated spark that started the group in 1968. From the first President Erwin Kreischer elected in 1969, to the current President Bernie Scott, who was installed in 2006, the organization has flourished. It is with great honor and respect that we acknowledge one of our members as the 2007 President of ORTA during this, the 60th anniversary of the state association. Dr. Don Bright of Bowling Green has represented the voice and concerns of all levels of active and especially retired teachers and educators for decades.